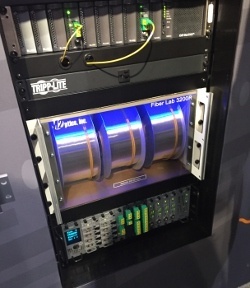 When the time comes to buy spools of optical fiber for testing and demonstrating communications systems, there are a few items to consider that will help ensure you end up with an ideal setup. Since it has been proven that following a few best practices will help you get the most out of your fiber, thinking about these four important items in advance will allow you to further qualify your needs as well as speed up the purchasing process. What Does Your Optical Fiber Test & Demonstration Setup Say About You? Often not considered, it is important to remember that looks really do matter! 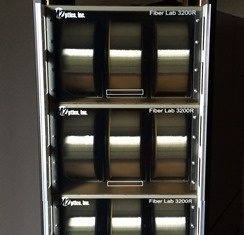 If your company is like most that are involved with building or utilizing fiber optic systems, chances are you have a few spools of bare optical fiber laying around the lab. Since it is critical to ensure fiber-based equipment works as intended prior to deployment in the field, it is a recommended and common practice for engineers to simulate networks using spools of bare optical fiber. Because there have been a variety of different fibers available over the years, engineers can end up with fair amount of spools at their disposal. Engineers performing fiber optic network simulation testing with the goal of certifying that their equipment will work as intended once deployed in the field, often require the use of optical fiber spools to complete these procedures. Since it is crucial these tests produce both correct and reliable results, below are some tips for ensuring the most positive results.